Number Six is a former agent with British Intelligence. What his real name is remains a mystery, probably even to himself although that is not quite completely settled. That issue is but just one of many, many items in which the truth is neverl quite arrived at. It is the struggle of the man everyone calls Number Six to find out who he is, or was, where he is, other than just in the Village, and what do the people running the encampment, the Guardians, want of him. One thing that Six definitely knows is that he was an agent with British Intelligence and apparently a very good one. He grew tired of the lying and sneaking and double-dealing that he was forced to do on a daily basis and one day walked into his director's office and handed in his resignation. According to the novelization, he was planning to retire to Wales to do whatever he wanted as long as it was not being a spy. When he was preparing for his departure, he is rendered unconscious. Awakening in what appears to be a pleasant small English village, albeit with some strange varieties of architecture, he is confused and understandably upset. Where is he and how did he get there and what is going on? Those were his first questions and as time go by, no answers to these queries comes to him, only more questions. Remembering that he had once been very good at his job and determined to get free, the life of Prisoner Number Six is one devoted to breaking free from an idyllic landscape where every move he makes is monitored and occasionally he is pulled in for the strangest forms of interrogation. Is the questioning they do of him because they are the enemy trying to plumb his knowledge or are they his own people seeing if he would break? A novelization of the initial televison episode, Arrival in which the agent abruptly retires from his work as a spy, is drugged, and awakens in the Village. 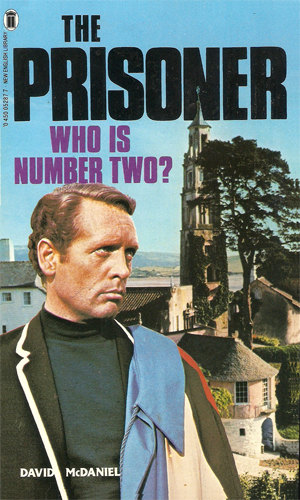 2 The Prisoner: Who Is Number Two? As he tries to find a way out of the Village and away from the Guardians, Number Six is determined to learn more about who the man known as Number Two really is. An original novel, this book tells of a 'normal' day in the life of Number Six as the people who run the Village try to break him and he continues to work towards getting free. 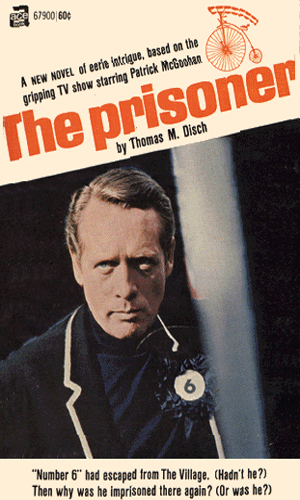 From September 1967 to February 1968, British television broadcast a 17-episode intriguing drama called The Prisoner. It was co-created by its star, and only consistent actor, Patrick McGoohan. A wonderfully bizarre combination of spy and science fiction, it presented a town where everything seemed to be controlled by the Guardians who watch all action via multiple cameras, easedropping on conversations, sending in people when needed and eliminating others as called for. 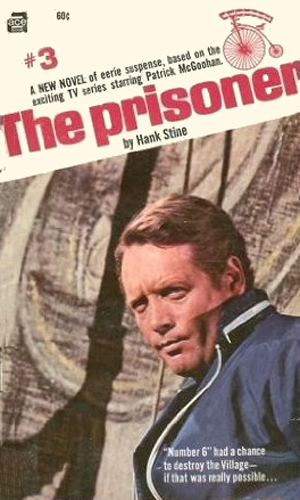 Some disagreement remains as to who really first created the concept for this drama but it is widely believed that Mr. McGoohan, working on but growing tired of the action adventures Danger Man (retitled Secret Agent for the U.S. market), came up with the basic idea for The Prisoner while pondering what would happen to an agent like the one he played, John Drake, should he decide to get out. He discussed this with George Markstein, a writer, script editor, and producer who helped flesh out the idea and eventually wrote most of the pilot episode. The controversy was who was the real creator and who got the network to greenlight the project. With both gentlemen now deceased, it is a moot point. The show did not gain the ratings that had been hoped and it only lasted the one season. 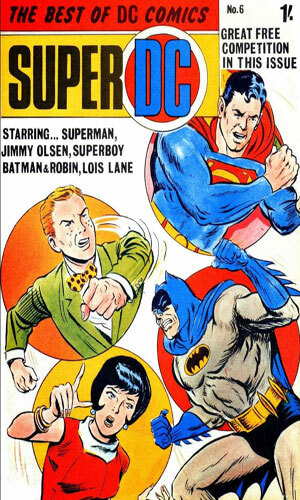 Over the next few years, however, in syndication that show grew into a major cult hit, much like Star Trek with a huge fan base devoted to keeping it alive. In addition to the three books that were published by mainstream companies, there were a plethora of fan fiction covering an enormous amount of data on the mysterious people running the mysterious community where mysterious agents from apparently all over the world existed. In 2009, a remake of the series appeard on AMC in the U.S. This six-part mini-series starred James Caviezel as Numbe Six and had veteran actor Ian McKellan take the role of Number Two, a part that had been played by several different actors in the original drama leading to the question of whether the designation was a name or a title. Note: Numerous websites exist on the Internet devoted to this series. People wanting to know more than they could believe are invited to search and enjoy. 3 A. B. and C.
1 QuizMaster - What Do You Know About Cars On TV? I was a huge fan of Secret Agent though it was not on very long where I lived. A couple of years later, I was temporarily enchanted with the strange and oddly creepy village that became the cage for the retiring agent, a man I always in my head assumed to be a tired John Drake. I say temporarily because the fact that nothing was ever what it seemed made any information that Number Six, and by extension, me, learned was as likely to not really be the truth as anything else. I remember these many decades later being rather annoyed at that. I wanted solutions and answers and progress. In today's modern parlance, I wanted some closure. It was not to be. First, the series did not last so no answers could come out. Secondly, if the answers ever did get revealed, the mystery of the Village would be lost and the show destined to end. Even with my frustration, though, I remember still being a huge fan of the star, Patrick McGoohan. That man was such a major force on television in anything he did. He was a terrific bad guy, earning two different Emmys for playing murderors on Columbo. He was an excellent spy in the Rock Hudson-starring Ice Station Zebra. He was awesome. As The Prisoner, though, he will always be remembered. Just a couple of random notes. I was surprised when I read (I think it was) "Who Is Number Two" and the author refers to the Prisoner as Drake. Comic-book wise Jack Kirby tried to do an adaptation of the series (easy to find the first rough issue online) and, back in the late eighties DC Comics released a four-issue sequel, set years after the end of the series, called "Shattered Visage" (there has also been an amateur audio adaptation of "Shattered Visage", and that production company went on to produce their own sequel to "SV" called "Torchbearer").